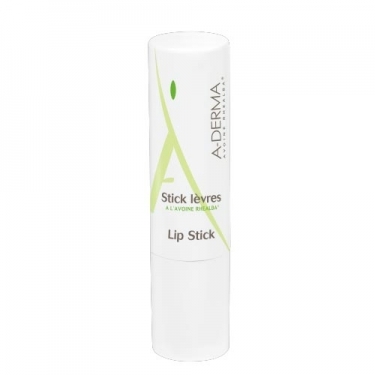 DESCRIPTION: Lip Stick from A-Derma is a lip balm made from 3 different types of wax that are soothing and highly moisturizing. The combination of these 3 waxes, beeswax, palm-derived carnauba wax and castor wax, known for their highly nutritious properties, repairs the skin and creates an effective barrier against moisture. Rhealba oat extract is both soothing and anti-irritant on cracked lips. A transparent formula that leaves no white traces or appearance of brilliance. Apply on lips whenever necessary.